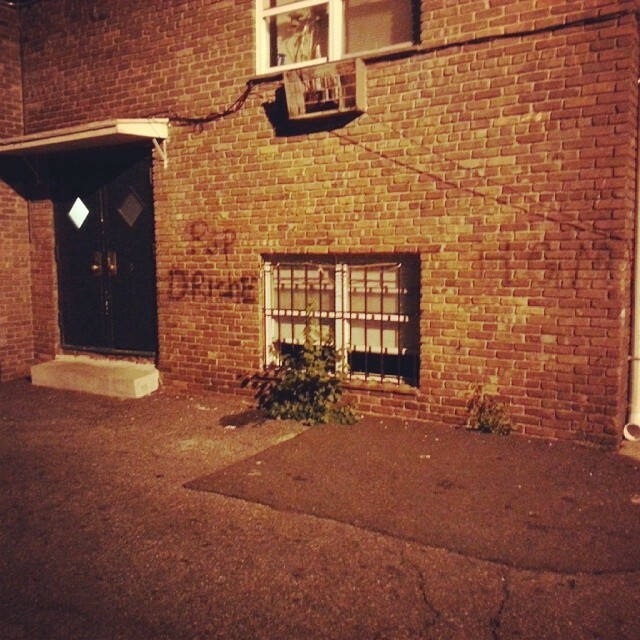 Back entrance of apartment building – write! Quick pic on the way to work. 11:35pm, walking to my car I noticed a ground floor apartment had bars around the window for security, I guess to keep Some One from entering. But what if Some Thing moved through the bars to get in?